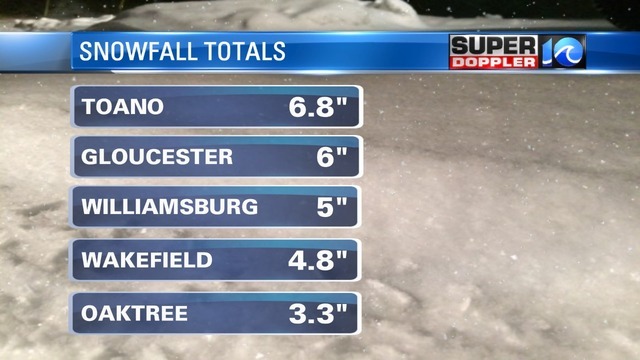 Well....this storm ended up being worse for some parts of our viewing area. (Just call me Captain Obvious.) 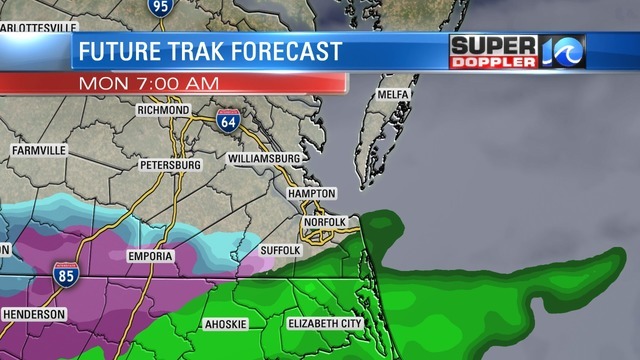 The forecast was solid for northeast North Carolina, the Southside, and the Eastern Shore. Unfortunately, we did not anticipate the snow would stick around as long as it did for the Peninsula and Middle Peninsula. Heavy, wet snow piled up in James City Co, Gloucester Co, Williamsburg, as well as Mathews Co, Surry Co, Sussex Co, and York Co.
As this system starts to wrap up by Monday morning, there is a chance we may see the transition back over to a brief wintry mix, otherwise, expect light rain showers. Whether you see rain or a rain/snow mix, the commute will be less than stellar to say the least. 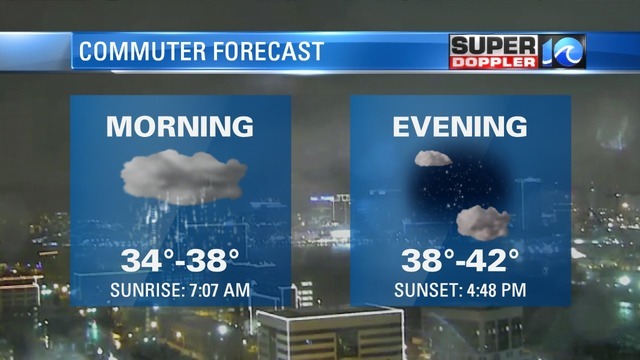 As we know, rain usually slows down the commute....slush and ice will make it even worse. I would especially be careful across the Peninsula, Middle Peninsula, and points west of the James River, i.e Surry Co, Sussex Co, Isle of Wight Co, Southampton Co, and Franklin. I'd also be careful across inland North Carolina. Several schools have been delayed or canceled for Monday. In addition to the wet weather, the wind will still be driving out of the north with gusts up to 30-35 MPH at times. Suffice to say, your evening commute will be a little bit better. Be sure you check in with Meteorologist Jeremy Wheeler and Jen Lewis starting at 4:30 Monday morning.